Fear of driving is a very common and we understand it is very important to provide the right atmosphere for our students. There most definitely should be no yelling involved. It's our responsibility to make sure you are comfortable behind the wheel. Which is why our instructors get that little bit extra training above the standard you'll usually see out there. Driving instruction is about listening and responding to your needs. In the end that is what being a driving instructor is all about. You, our student, and your safe development into a competent driver. This is just one initiative that sets us apart from the competition in Prosperous. Many of our pupils have even attributed it to their fast progress and development. Lessons come and go fast and it is easy to forget what you have learned. Our extra lesson material means you can follow up on what was covered before the next lesson ensuring you don't waste time and money going over the same things. What is the sequence of the traffic lights? You may not know but many years ago Ireland had one of the worst road accident records in Europe. To help reduce these statistics the Road Safety Authority implemented a new and mandatory training initiative for new drivers. The Essential Driver Training or EDT. The skill of driving safely and the art of passing the driving test should not be confused as the same. You should already have the vital driving skills and road safety knowledge before applying for the test. Our Prosperous pretest driving lessons are designed to show you how to beat the test by understanding the conditions you will be placed under. If you haven't done any preparation for your driving test the your are in the dark and being in the dark can cause a lot of fears to rise up. Fear can distract even the most experienced of drivers. So it makes perfect sense that we have to shine a light in the dark, remove the unknowns and the anxiety. Which is precisely what our pretest driving lessons will do. 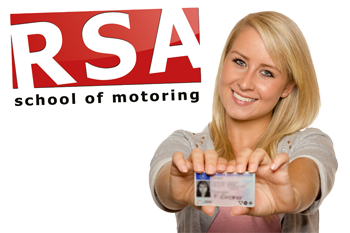 With RSA School of Motoring your Prosperous driver training doesn't just start and finish in the car. We have designed our own email support course sent periodically to your inbox to provide you with support through your EDT program all the way to your driving test. If you're looking for great value... you just found it. 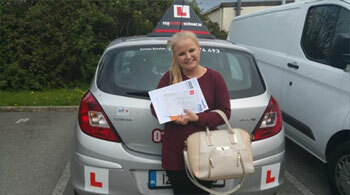 If you have a driving test lined up and want a modern, easy to drive car to conduct it in then we can assist. It is our belief that by arriving for your test in a secure, dual controlled vehicle puts the tester at ease and shows a clear level of commitment from you to your own success. Help stack the deck in your favor and book one of our pretest and car hire packages... it's the smart choice. We all remember the fun engaging teacher at school that made learning easy and fun. And we remember the bad teachers that had no business teaching anyone. Not all teachers are made equal and that is no less real with driving instructors. It's not as straightforward as searching 'Driving Lessons Prosperous' and choosing the first driving school you stumble upon. Who can you believe in to offer you that enjoyable and engaging experience? Experience and professionalism is what you need from a driving instructor. A driving school that gets pupils to pass the driving test. 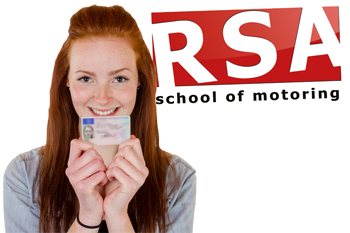 We now have helped hundreds of pupils pass the test so before you continue your search we urge you to consider RSA School of Motoring for your driver training in Prosperous. Let us show you why. Do you offer Driving Lesson Gift Vouchers in Prosperous? Can I learn in an Automatic Car with your Prosperous driving school? 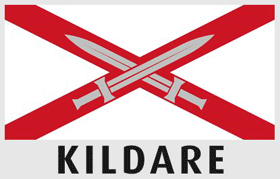 What self respecting driving school doesn't offer automatic driving lessons in Kildare? We can offer all our students driving lessons in automatic or manual dual controlled vehicles anywhere in Prosperous. Book your automatic driving lessons in Prosperous now. Teaching you to drive would be our absolute pleasure. Go on... give us a call now and let's get you booked in for your Prosperous driving lessons today. We won’t let you down.